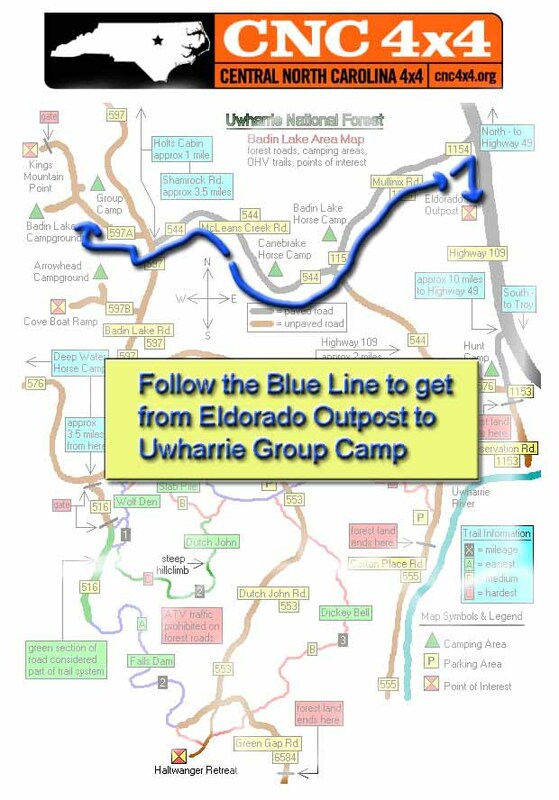 CNC Map of directions to Group camp – spots ‘A’ and ‘B’ on Friday and Saturday nights. Camping is free for members, $5 per night for non-members. Please take a minute to print a waiver and bring it with you. If you cannot print it off do not worry we will have some with us. If their link isn’t working, you can try their Facebook page. 8:00 Meet at Badin Lake Group Camp– We will have a stock/beginner group and a more advanced group. Tech Inspections start. 8:15 Driver’s Meeting and Tech Inspection continues. *****NEW!!!! As of 9/29/18 at our Quarterly Meeting, we decided to partner with Carolina Trail Blazers at their dinner and raffle to honor the memory of Scott Fields. Raffle includes a built-up CJ-7! Right after our 4×4 games are over, we will need to travel over to UORTC for dinner. Please offer rides to anyone in need. Once we’re there, there will be a choice of chicken or pork plates. Cost is $10 and you’ll pay when you get your meal. Raffle tickets will cost extra. Details will be found in a separate email you will receive by 10/2/18. Seat belts or Harness for all passengers! Recovery Points (minimum of 1 front and rear). Also please read the “Trail Checklist” section above for additional vehicle requirements! When you first line up for the Fall Fling your vehicle will go through tech inspection. The emphasis is on safety! We don’t want anyone to get hurt and we’d prefer it if your vehicle doesn’t get damaged (though we cannot make any guarantees). 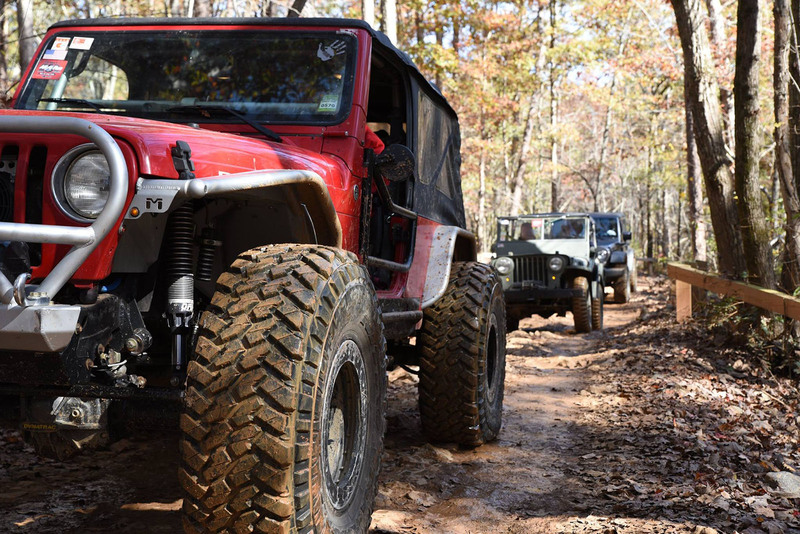 We will check basic technical items on all vehicles and then compare your vehicle to our Trail Ratings to determine what trails you can drive during the event. To be fair to all participants and keep down the waiting times, we cannot allow under-equipped or under-modified vehicles to drive on harder trails.